The name of the Association shall be The Ottawa Gunners. The serving Colonel Commandant shall be invited to be an honourary member. The spouses of deceased members of the Association shall be invited to be honourary members. A decision to invite any other person to become an honourary member must be approved by a general meeting of the Association. 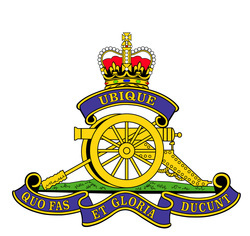 c. Associate Member: Any friend of the Royal Regiment of Canadian Artillery may be nominated to become an Associate Member. This includes members of a foreign Artillery serving in Canada. Membership shall be confirmed by a vote at a general meeting of the Association. Associate Members shall have the same rights and privileges as Regular Members except for the right to vote at a general meeting . Members of the Executive Committee, with exception of those appointed by the Regimental Colonel, shall be elected from the regular membership at the Annual General Meeting (AGM). The President shall serve for a maximum period of two years. No limitation shall be placed on the length of service of other members of the Executive. In the event that a member is unable to continue his/her duties throughout the year, a temporary replacement may be named by the Executive until the next AGM. will present a proposed slate of nominees at the AGM. The Executive Committee will prepare a long term plan (five year) and an annual activities program to present to the membership on an annual basis. The Executive Committee will meet as required to pursue the work of the Association. A general meeting shall be held once per year on a date to be determined by the Executive. Additional general meetings may be called by the President with the concurrence of at least two other members of the Executive. The Secretary-Treasurer shall send notice of every general meeting to all members at least 14 days in advance by the most appropriate means. This notice shall include a copy of the agenda and any other pertinent data. The President, or on his/her absence the Vice President, shall preside. In the absence of the Vice President the Secretary-Treasurer will chair the meeting. Members wishing to have specific items included on the agenda should advise the Secretary-Treasurer at least 30 days in advance of the meeting. a tie vote, the presiding member of the Executive shall cast the deciding vote. Voting shall be conducted by a show of hands unless the presiding member of the Executive believes that a secret vote is required. Any eligible voter who is unable to attend a general meeting may appoint any eligible voter as his/her proxy by sending a signed note (electronic signatures accepted) to the Secretary-Treasurer giving the name of the proxy. For purposes of voting the person giving the proxy shall be deemed to be present for the meeting and shall abide by the vote of his/her proxy. A quorum for a meeting of the Executive Committee shall consist of three members. A quorum for a general meeting shall consist of at least ten per cent of the paid up membership. This number may include proxies. Membership fees shall be established by the Executive and approved by the AGM. The Secretary-Treasurer will provide a financial statement to the members at the AGM. Any change to this Constitution shall be made only with the approval of a general meeting. Any proposed change must be notified to the Secretary-Treasurer at least 60 days in advance of a general meeting, and will be circulated to members with the notice of the meeting. This Constitution has been prepared in both official languages and both have equal validity. To the extent which is financially feasible, the Association will endeavour to provide all of its publications in both official languages.